Given that you have located our Office through Divorce Angels, you will be entitled a discounted first hour initial consultation. 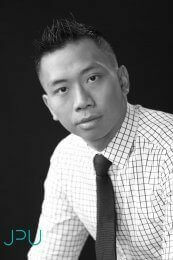 With over seventeen years of experience, Jean-Pierre Ung is a lawyer dedicated to providing exceptional services. Jean-Pierre’s entire background has been centered around the law. In 1996, Jean-Pierre completed his Honours Bachelor of Arts, with Distinction, at the University of Toronto. His emphasis was on Criminology and Law, Ethics, and Society. In 1999, he went on to complete his Law Degree at the prestigious Osgoode Hall Law School. While doing so, he volunteered as a Probation Officer with the Ontario Probation and Parole Services. Jean-Pierre also worked at Parkdale Legal Community Services where he represented individuals with immigration and refugee issues. In 2001, Jean-Pierre was successfully called to the Ontario Bar Association. He became a Partner of the former law firm Still McCalmont Daly Ung in 2003. He has appeared in many courts at various levels. However, his approach is settlement-oriented to save his clients unnecessary legal fees, animosity, risks, and delay. In 2010, Jean-Pierre founded the Law Office of Jean-Pierre Ung. This was to provide more personalized legal services. By dealing with clients one-on-one instead of delegating to staff, Jean-Pierre does what other lawyers may not: deliver results and not just promises. (9) mediation, arbitration, and dispute resolution. The Law Office of Jean-Pierre Ung offers quick and cost-effective solutions to legal problems. Jean-Pierre brings a hands-on and personable approach that is rare in a lawyer. He works one on one with his clients. They appreciate being treated as people and being able to communicate with him directly, not his staff or juniors. Jean-Pierre’s practice has been in Markham since 1999. He, therefore, is familiar with the various courts and resources in the York Region. He has the support network and knows the right people to help you with your matter. As his clients and peers can attest, he attends to every client with promptness and diligence. He works hard to provide answers and solutions. He takes in account not just the law but also his clients’ priorities, decisions, and budgets. Jean-Pierre believes in exceeding and not just meeting expectations. He keeps in mind that all parties’ first and foremost expectation is to obtain closure by way of a settlement. To that end, Jean-Pierre makes all efforts to avoid expensive court proceedings but will not hesitate to advance and defend his clients’ rights vigorously if litigation cannot be avoided.